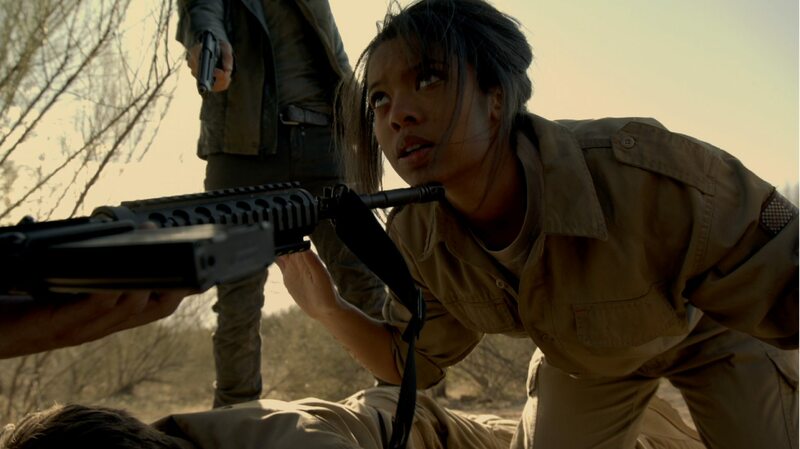 As followers of this blog will know, UN staff have teamed up with the producers and writers of the NBC science-fiction show Revolution, which this season has drawn a number of its story lines and characters from the harsh reality of daily life for many people living in unstable environments around the world. In episode 16, “Exposition Boulevard,” we are introduced to children who have been recruited, brainwashed and trained to fight and die by the so-called Patriots in its war for control over land and communities. Unfortunately, this is one of the show’s storylines that is rooted in the harsh facts of today’s world. 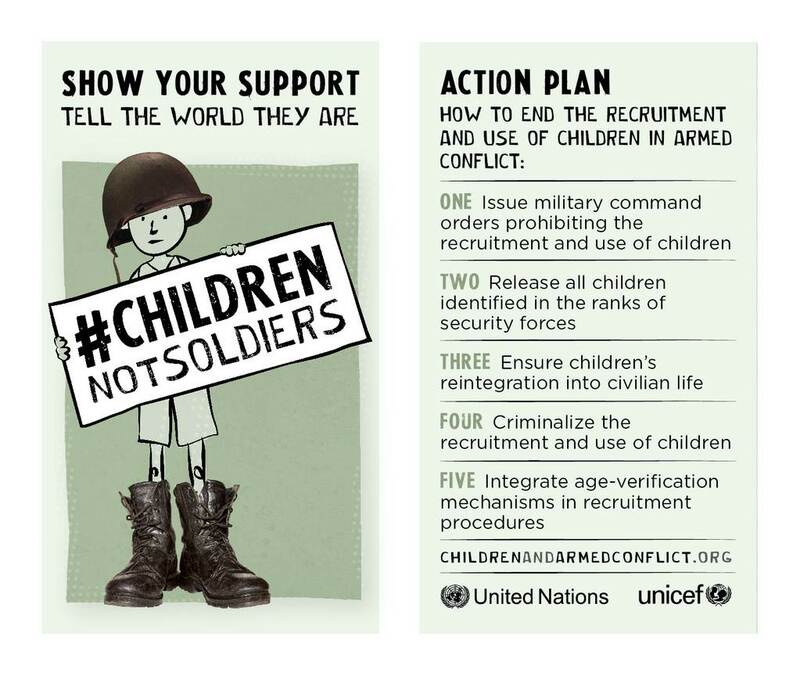 Estimates put hundreds of thousands of children in armed forces and onto the frontlines of brutal conflicts. Many of these children are abducted by militia and some are conscripted by government forces. In addition to fighting, they are used as porters, cooks, messengers or act as lookouts. Girls are vulnerable and are at great risk of being exploited and used as sexual slaves. Grace Akallo was only 15 yeas-old in 1996, when she was seized from her boarding school in Uganda by the notorious Joseph Kony’s Lord’s Resistance Army (LRA). She was taken to Southern Sudan were she was tortured, sexually assaulted and made to kill in order to survive. After seven months of physical and psychological abuse Grace found an opportunity to escape when the LRA came under attack by a rebel South Sudanese militia. With the help of villagers, she found some Ugandan soldiers who brought her home. She has gone on to earn a Masters degree and found an NGO dedicated to the protection of women and children’s rights. At this time, eight government security forces, listed in the annexes of the Annual Report of the Secretary-General on Children and Armed Conflict, are known to recruit and use children. Over the next two years, the Office of the Special Representative of the Secretary-General on Children and Armed Conflict and UNICEF, together with other UN entities and NGOs, will increase their efforts to support these eight governments to end the recruitment and use of children and will also help them reintegrate these children into society.